Photography Interview on iEDM! | Observe. Compose. Capture. 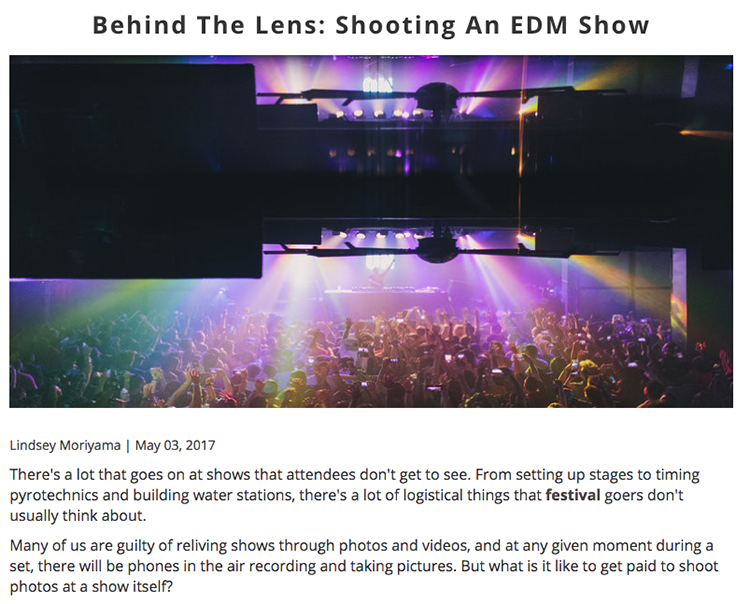 My sister Lindsey, who currently writes for iEDM.com, recently interviewed me of what it's like to shoot an EDM show, in light of Gareth Emery's March visit to Hawaii to perform at the Republik. It was an honor to be featured, and I'm stoked that I was able to shoot one of my favorite artists of all time :) More photos from the show to come later, but be sure to check out the interview here!